Crested Butte is a ski resort in fairly high altitude in the most beautiful alpine scenery. 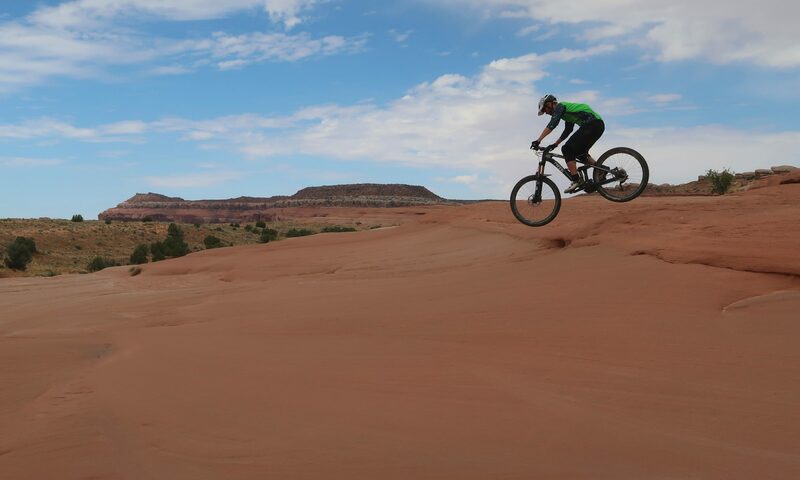 And this is basically what the mountain biking there is about. My feeling was that Crested Butte is not as MTB-affine as e.g. Park City. Of the many different types of taxes and fees that were added to the room rate on our hotel bill not a lot could have gone into MTB-infrastructure. There is a downhill park, but there is not really a coherent trail system or purpose built trails. The classic ride is the 401 trail. As a loop from Gothic Road, it starts with a climb in high altitude over 11000 ft/3400 m that makes it breathtaking before the views will cause the same again. A favorite ride among locals is Doctor’s Park. Ideally done as shuttle, it wasn’t an option for us travelling in one car. A shuttle service did not exist, due to constraints of the local authorities (according to the website of a shuttle company that wasn’t in operation). We finally did the Strand Hill Trail with moderate climbing and nice singletrack between birch trees and alpine meadows. 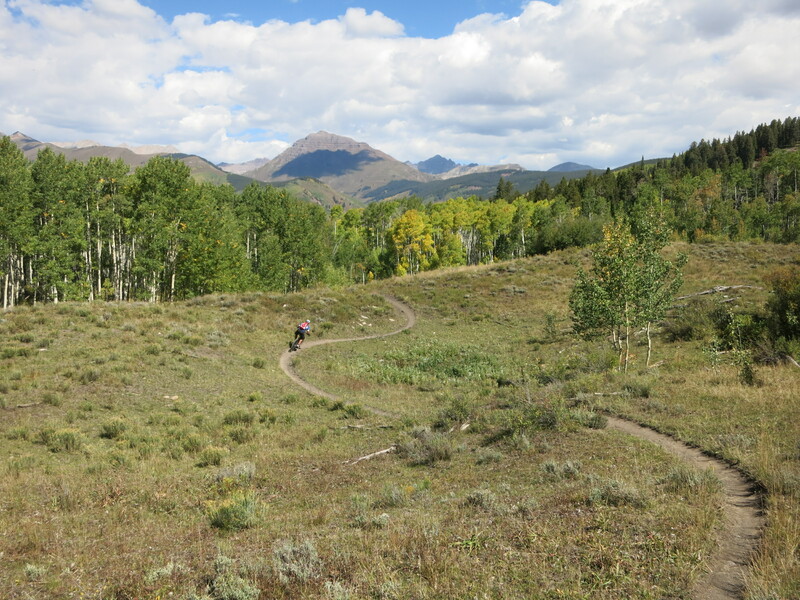 A typical Crested Butte ride, yet moderate in length and altitude.